Well, the season is finally here! The joyous holiday season is one to be celebrated by families all over Glastonbury. Seeing the light dance in your child’s eyes as your talk about Santa, hang out with family, discuss the Menorah, or your Kwanzaa traditions is always something that will make you and your children smile. One way you can educate your child while they are not at our daycare center is by reading fun holiday themed stories at home. Foundations for Learning loves to help keep your children well-rounded and educated about all the holidays in this wonderful season. We wanted to give you a list of books you can read to your children so that you can create new traditions with them. A lovely book loosely based on the classic by Dr. Suess, kids who live in the town Oyville are trying to prepare for the eight nights of Hanukkah. However, the kvetch has other plans. He does not participate in Hanukkah and hates its traditions. With some strong convincing our main character might be changing his tune about this favorite holiday. A tale as classic as the holiday itself, this is one the whole family can enjoy together. The story is about a young child who hears someone up on the roof. When they go to investigate, they find Santa himself! This book is written in a rhythmic pattern, so it will be a fun activity to let your child try and read it to you! This is another classic Christmas tale that takes place in the town of Whoville. They are gearing up to celebrate their favorite holiday but there is a mean grinch who wants to take away all their joy. After the grinch creates havoc among the town, his tune changes, his heart becomes bigger, and he decides to come down to Whoville and celebrate with everyone else. This is a classic tale for all children and one they will want to read over and over. This book is perfect if your child is just starting to understand what Kwanzaa is all about. The book celebrates African heritage and explains when the holiday is celebrated. Similar to Christmas, there is feasts and gift-giving festivities. The book also goes through the seven main components of Kwanzaa. Sit down with your child and read this book to them, to help them better understand why you celebrate this glorious holiday. Take a Journey to help an African American child find their dearly beloved cat, while also learning the key values of Kwanzaa. This book will keep your child engaged and it will educate them about Kwanzaa. Will the family find their cat? Will the family fully understand the principles of Kwanzaa? Get this amazing book and find out! 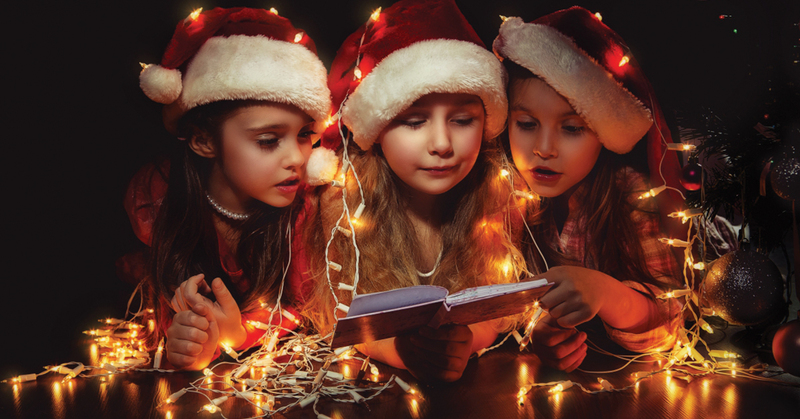 We hope you enjoy this list of amazing and informational books for your holiday season. At our daycare in Glastonbury, we keep our program well rounded, so our children never feel left out. Learn more here and always check our blog for helpful tips on parenting, education, and how to enjoy quality time with your children!